Many women suffer from stretch marks. Stretch marks are stripe-like marks that appear on the skin when it is stretched due to rapid weight gain or loss. They are a form of scarring caused by the tearing of the middle layer of skin (known as the dermis), which regulates the skin’s elasticity. When the dermis is stretched too taut, it breaks, developing tiny rips in the fibers and causing the blood vessels located under the skin to show through. As we said earlier, women can suffer from stretch marks due to rapid weight gain or loss, and also stretch marks can be caused by pregnancy, diabetes, and hereditary factor. You can have stretch marks on different parts of the body, such as abdominal area, thighs, hips, breasts, upper arms and lower back. How can you reduce the appearance of stretch marks? This is a "hot question" for many women, by the way. In our modern world, there are a lot of treatments and cosmetic products that can help you reduce stretch marks. Some of them are very effective, and some can give a temporary effect. Also, do not forget that many “magic products” can contain chemicals that are harmful both to your skin and to overall health. What can you use to get rid of stretch marks without harmful effects? 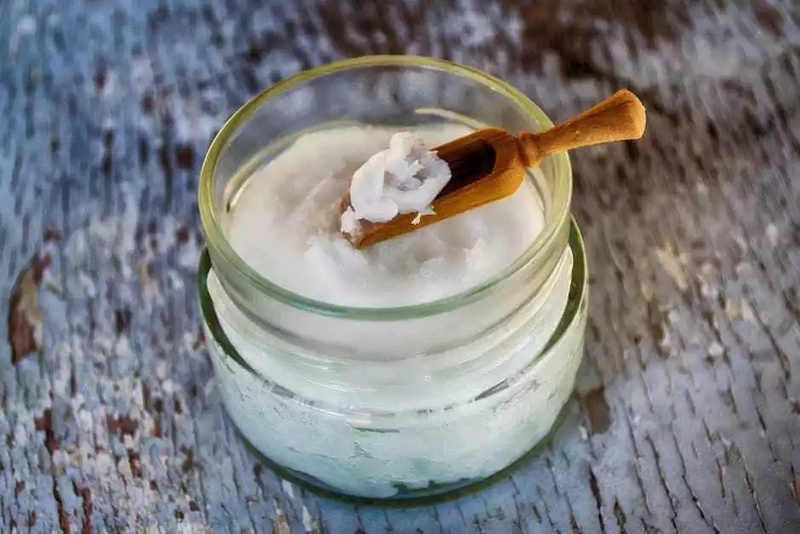 You probably already heard and more than once about the magic benefits of coconut oil, right? So, the main assistant in the fight against stretch marks is coconut oil. This oil can work wonders due to its anti-bacterial, anti-fungal, anti-inflammatory, antiviral and anti-microbial properties. What is special about coconut oil for the skin? 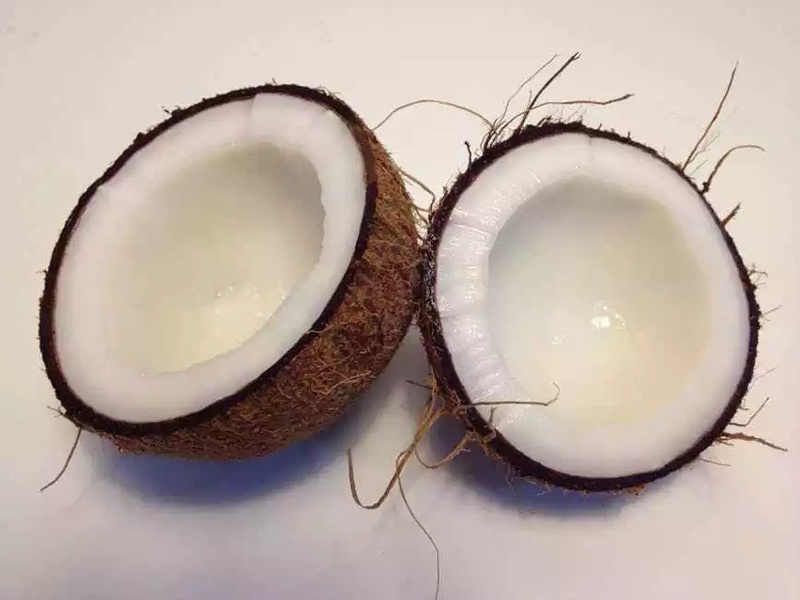 Firstly, coconut oil has excellent moisturizing properties. It gets absorbed deep into the skin very quickly. Secondly, coconut oil is a source of vitamins E and K, which are very essential to your skin. Vitamin E is anti-inflammatory and protects against free radical damage. Vitamin K helps to heal skin damage and aids in preventing wrinkles. How can you use coconut oil for stretch marks? Pregnant women can use coconut oil to prevent stretch marks. You have nothing to worry about, because coconut oil is completely safe for both the mother and the baby. You need to rub the oil onto the belly several times a day. Women who want to get rid of stretch marks should use coconut oil daily, applying it to the affected areas after getting out the shower, or use 1 to 3 times per day. 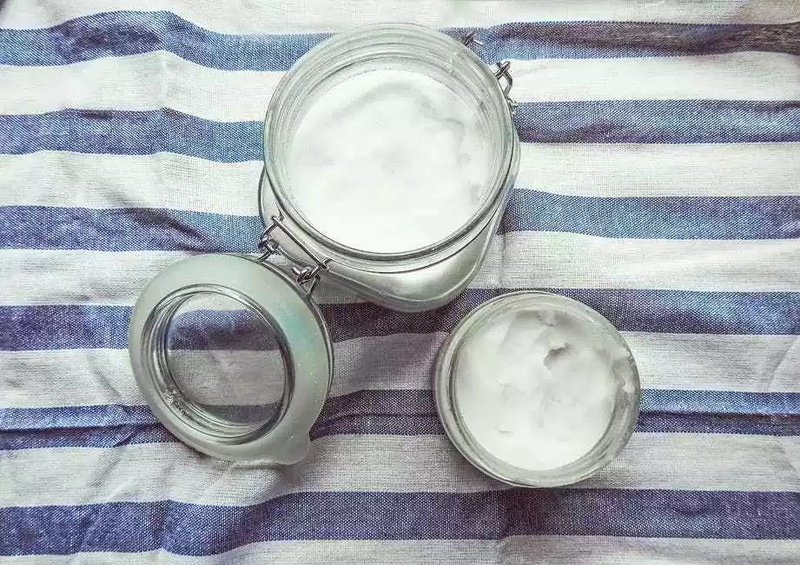 You can put coconut oil at night too to achieve better results. It is recommended to use only organic coconut oil that hasn’t gone through a refining process. You can mix it with something else like lavender essential oil or rosehip oil. Lavender oil helps treat scars and rashes. Rosehip oil is high in vitamin C, aids; it helps prevent and fade scars, and is super moisturizing. Another effective way to get rid of stretch marks is a coconut oil skin polish. You need ingredients such as: 2 cups of coconut oil, 10 drops of lavender oil, ½ cup of almond oil, 1 cup of cornmeal, 1 pan. In a pan, take two cups of coconut oil and later warm it in medium flame. Then, you should take almond oil (½ cup) and cornmeal (1 cup) in another vessel. Blend them both with the help of a hand mixer. Then add ten drops of lavender oil and add coconut oil to this mixture. Mix it well. Allow it to sit for an hour. Apply this effective remedy on your affected areas with stretch marks, and leave it to work for about 20 to 30 minutes. Then, you should wash it off with warm water. To speed up results, you should follow this procedure at least one time in a day. Try it!